The Timberlane Regional School District appreciates the opportunity to partner with local business Plaistow Pediatric Dentistry and Orthodontics. In 2016-17, these dentists provided screenings to our students at the Pollard Elementary School in kindergarten through second grade. 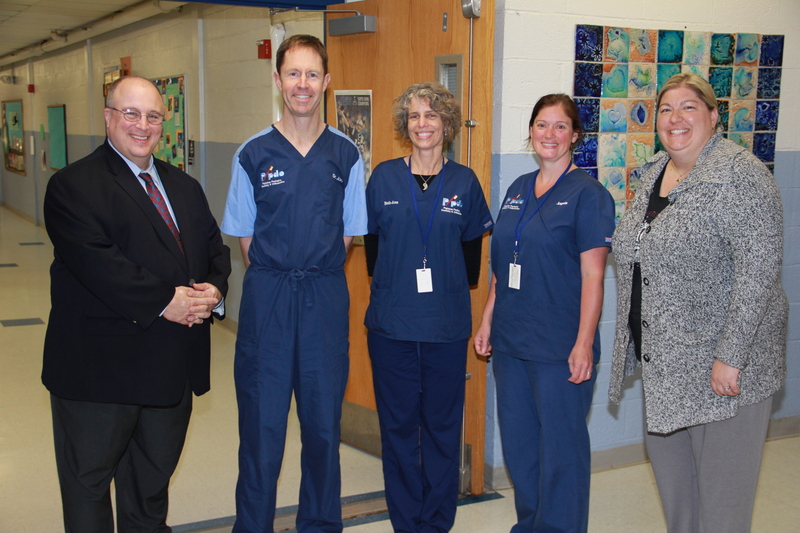 We are also pleased to share that the Plaistow Pediatric Dentistry and Orthodontics will expand the current program next year at Pollard School as well as branch out to two new schools, Atkinson Academy and Danville Elementary School. A special thanks to Timberlane Alumni, Dr. Jon Wendell, and his team for the support and care provided to our students and families this year and in previous years. Dr. Wendell and partners have provided free mouthpieces for our middle school students, dental programs for staff and their families, and a $1000 scholarship each year for a student entering dentistry or the medical field. This very important partnership has been in existence for three years. The Timberlane Regional School District appreciates this exceptional partnership and we look forward to other partnership opportunities.